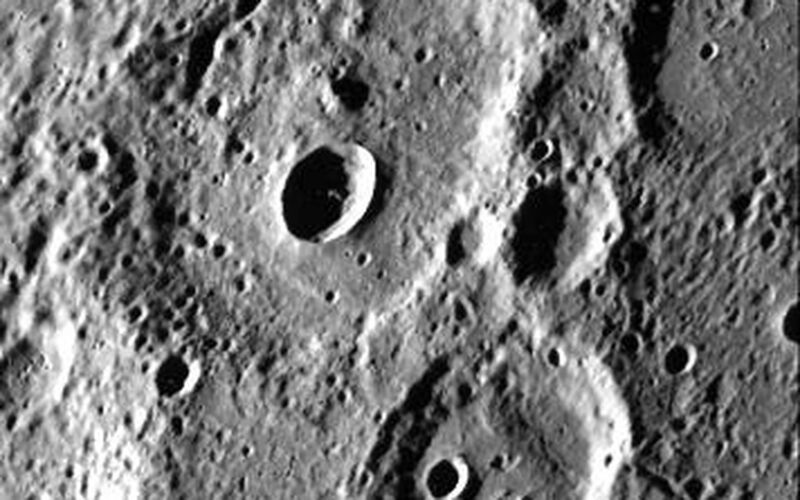 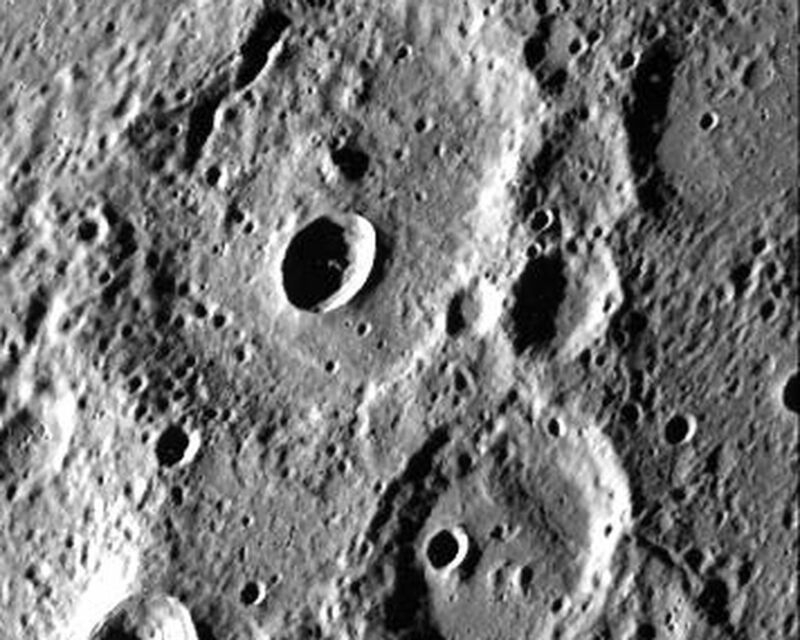 A fresh new crater in the center of an older crater basin is shown in this picture (FDS27459) of the surface of Mercury taken March 29, by Mariner 10. 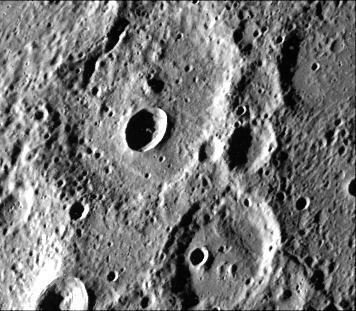 The newer crater (almost centered in the photo) is about 12 kilometers (7 1/2 miles) across. 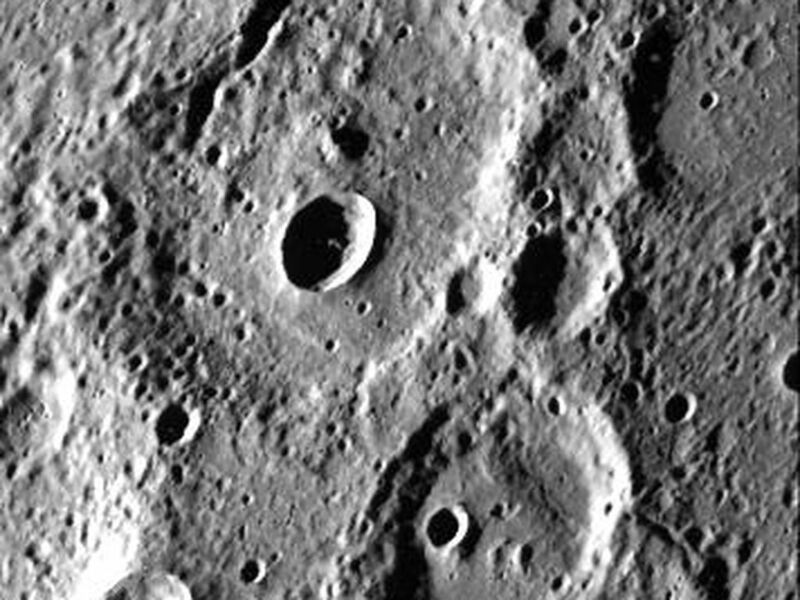 The picture, which covers an area 130 by 170 kilometers (90 by 105 miles), was taken from a distance of about 20,700 kilometers (12,860 miles) a half-hour before Mariner 10 made its closest flyby of Mercury.